The Anteater That Didn’t arrived from its first print run in the form of 500 hardback copies. And people are buying it! There are copies available via the website http://theanteater.co.uk/shopping-cart/ and on the shelves of several bookshops in Brighton & Hove including Waterstones and City Books. 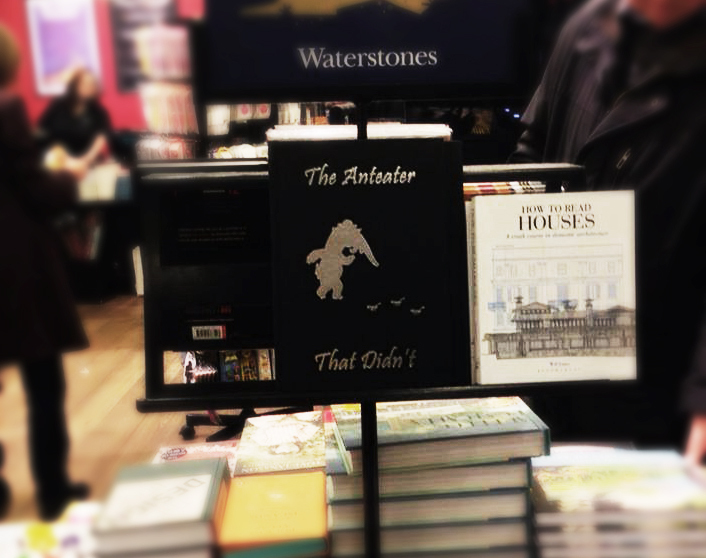 It was quite exciting walking into City Books and seeing The Anteater on one shelf and then seeing the Rattle Tales anthology (which I appear in) and the Nightwriters anthology (which I created the cover for and have stories in) on the next shelf along. But it’s more exciting knowing that copies of these books are going into peoples homes and that they are being enjoyed. Feedback has been heartily positive so far.